This was a season of good, bad and indifferent individual performances, which was reflected by the relatively few number of players who received votes in the fifth annual Width of a Post Player of the Season award. WOAP writers were asked to name their top five players, and only 10 members of the squad received at least one vote. Not a single Bradford City forward made anyone’s top five. Over the next three days, we will countdown our very clear top five, starting today with numbers five and four. In alphabetical order, the WOAP writer voters were: Phil Abbott, Andrew Baxter, Nick Beanland, Mark Danylczuk, Ian Hemmens, Mahesh Johal, Jason McKeown, Tim Penfold, James Pieslak, Alex Scott, Tom Swithinbank, Gareth Walker, Katie Whyatt, Kieran Wilkinson and Damien Wilkinson. 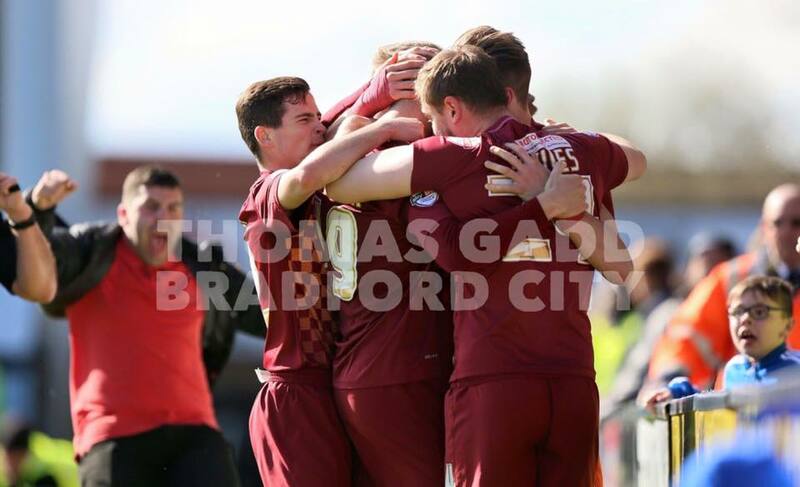 At the pre-match meal for Play it Like a Pro, Phil Parkinson and Steve Parkin spoke about what they looked for in a Bradford City player, and James Meredith’s name was mentioned. When he was scouted and signed in the summer of 2012, they wondered how such a talented player was playing so far down the leagues. Within six months of signing him, they understood why. Meredith was a fine player, but he repeatedly fell foul of the fines system at the club for very sloppy things – punctuality and leaving training kit out were mentioned. At this point, James Meredith had two options – continue, and bounce around the lower leagues without ever fulfilling his potential, or adapt. He chose to adapt, and doesn’t get fined any more. It’s not all been plain sailing. He missed large chunks of his first two seasons through injury and illness, which cost the team dearly. There was also the contract saga of 2014, which led to a replacement agent, and his biggest competition yet for his slot in the shape of Alan Sheehan. His response to that was outstanding, forcing Sheehan out of the team, and later, out of the club. With only the inexperienced Greg Leigh for competition, he was the undisputed first choice left back at the club. For the first couple of months of the season he was City’s best player. He rampaged up and down the left flank, taking advantage of the likes of Anderson and Morris tucking in to use the space they provided, and, when the team looked worryingly static, always provided an outlet. After injuries took out City’s wingers, he was even able to re-create his outstanding partnership with Kyel Reid on the left. The peak of this run of form was the televised game against Sheffield United, where he picked up his first goal for three years and caused the Blades no end of problems. This was enough to get him his first call-up for Australia and, a month later, his first caps. At this point, his season stalled slightly. He came back from international duty with an injury, and Greg Leigh had performed very well in his absence. Leigh was the man in possession, and Meredith’s performances dropped off. He played only one game between his trip on international duty in November and the new year, only regaining his place after Greg Leigh’s struggles at Bramall Lane, and only really regaining his form in the 4-0 win over Peterborough. He ended the season the way he started it, as one of the main men in the side. A personal highlight was his cross for Proctor against Doncaster, but his assist at Southend, caused by commitment and bravery as much as skill, was just as pleasing. He’s gone from being the man who couldn’t be trusted to show up on time to one of Phil Parkinson’s key men in the dressing room and on the pitch, and, despite his mystifying absence from Australia’s recent squads, is an international as well. There’s nothing stopping him from going even further at City. 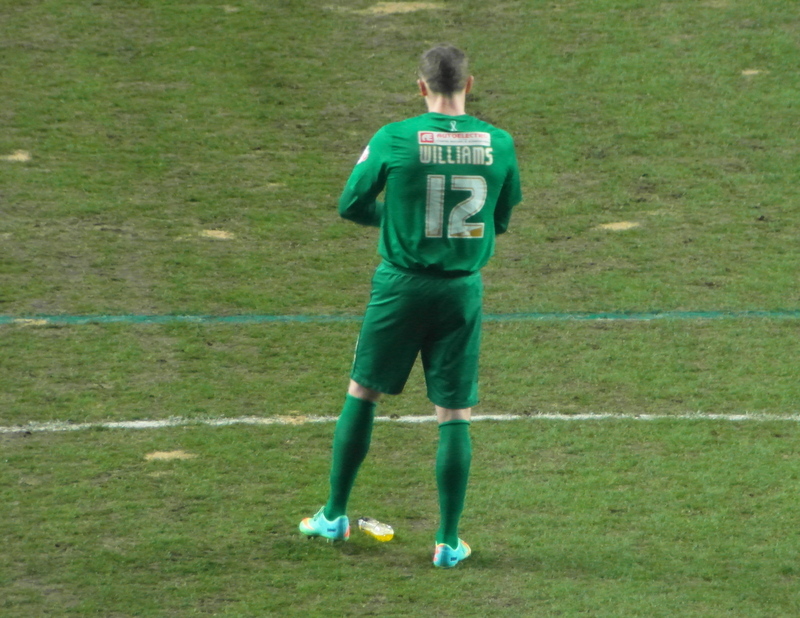 It’s easy to forget the extensive efforts made to push Ben Williams into the number two goalkeeper role this season. Phil Parkinson attempted to sign a number of former Premier League big names, before finally settling on the released Liverpool stopper, Brad Jones. Williams began the season number one by default, faring quite well, but it was seemingly all about waiting for him to make a mistake so he could be dropped. Three dismal Brad Jones performances later, Williams was restored to the team and simply hasn’t looked back. A competent keeper of very little career distinction, Williams has had the season of his life. No goalkeeper in Bradford City history has kept as many clean sheets in a season, no goalkeeper in the country kept achieved more shut-outs than the former Man United trainee. 43 league appearances, 34 goals conceded. There is a school of thought that Williams deserves only a small amount of credit for the team’s amazing defensive record, and that the clean sheets and generally low amount of goals conceded was the cause of the defenders in front, rather than the keeper. But even if there’s a grain of truth in that, it shouldn’t take anything away from just how well Williams has played. He really has been on top of his game. This was a player performing to the absolute height of his capabilities. He was full of confidence, assurance and composure. You look back on some many tight games that City won, and invariably Williams wouldn’t have a lot to do but still produced one or two vital saves. He was not the busiest goalkeeper in League One for sure, but stood up very well to the majority of tests he was given. Out of contract this summer, it is surely a no-brainer to keep him on. Expect plenty of talk of bringing in another goalkeeper to at least challenge him better than Jones and Joe Cracknell were ever able to. But no matter who is stood between the sticks at Valley Parade next season, Williams’ contribution over 2015/16 will be long remembered. He, at least, made history. Williams was my choice for player of the season, not just for all those clean sheets. Form counts for a lot but the abuse he took form some and the way he bounced back showed a resilient character who deserves the plaudits. reminds me a bit of the way Luke Oliver overcame adversity to emerge as a key player a few years back. Agreed on these two players being amongst the top performers for this his year. Top three though is interesting…. Burke is No1 I suspect in most people’s books if not everyone’s, however who comes in at 2 and 3 is debatable. My guess is McMahon at 2 and then Derby or McArdle at 3. Derby played every game for City whilst McArdle missed a few games. On a side note Evans, Cullen and Reid honorable mentions as being nailing down first team spots from Mid-season, and Nathan Clarke did really well in the second half of season. Proctor and Hanson did well in some games but others looked a bit pedestrian. Though service to these two players from the rest of the team was limited to be honest. We did not see enough of Marshall, Davies or Anderson to really judge them effectively. They can deliver but can they do it all season as starters. Morais is technically out best player and a huge miss for us this year. Shame we saw so little of him, not just for his quality but because he seems so genuine and passionate about the club. Leigh looked good in the little we saw of him and I hope he will kick on though with Metedith ahead of him I do fear for his chances. Routis was useful from bench as he covered three or 4 positions if needed, however he did not look like he would nail down a spot. Knott is a player I have generally liked when I have seen him, however I suspect it’s about he formation we play and him being slotted into a role I don’t think he understands or enjoys. In someways I would like to see him stay, but I accept a mutual parting is probably likely and for the best. Great player, along with Morais and Reid he is 1/3rd of our flair-creative team. However at no point this season has he looked anywhere as good as last season. There were two games where he and Proctor got a real partnership going and looked really good, and then something happened and I really can’t put my finger on what. Was it trying too hard? Opposition teams working him out? No idea…he worked hard and kept trying tricks but just not going for him. I bet the couple of howlers he missed also undermined him further. I like Billy but if we keep him we need to work out how to get the best out of him, or else we need to part ways if a spot cannot be found. In a team that does not have any prolific defended or midfielders, BOTH strikers need to keep chipping in with goals no matter how good. their approach play is. Player of the Season should go to the best/most important player… There is no question who has been our best and most important player this year. As good as Williams has been it isn’t him and we all know who WOAP will rightly be giving it to. Joe Hart’s shampoo above the rest!